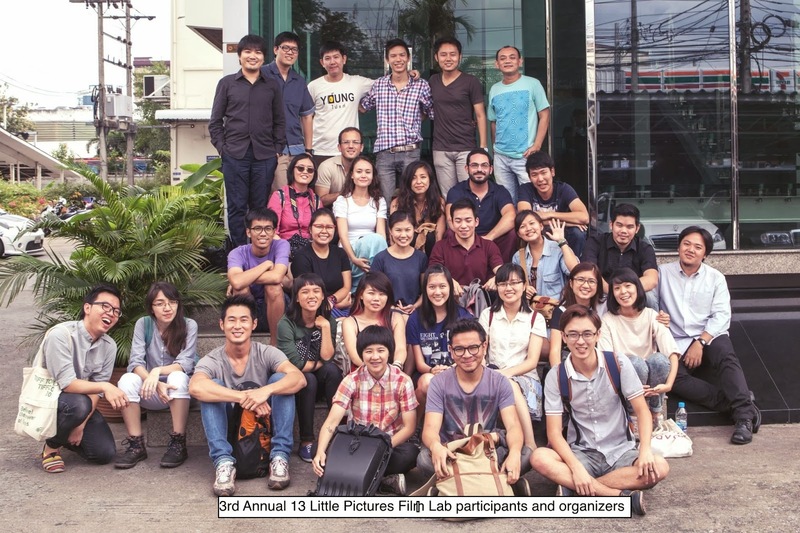 We catch up with Daniel Hui (pictured right) of 13 Little Pictures who shares what happened at the 13 Little Pictures Film Lab held in Bangkok end of last year. Can you give us a refresher on what 13 Little Pictures is? 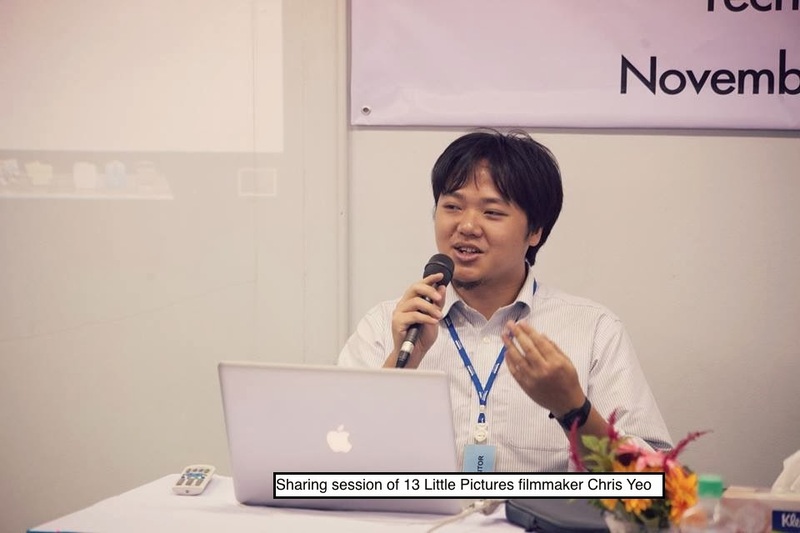 13 Little Pictures is a collective of independent filmmakers bound by a spirit of collaboration and comradeship. We believe in making films and friends at the same time, because filmmaking is ultimately most refreshing when it is achieved collaboratively. By challenging, inspiring, and supporting each other, we hope to build a community of distinct individuals who share a similar spirit of adventure and love. There are 24 participants from 7 countries , where are they from and what genres of films did you all receive? We had participants from all over the region and the world. This year, we had participants from Singapore, Thailand, Indonesia, the Philippines, Vietnam, the U.S., and Portugal. At the end of the lab, the participants made films ranging from narrative fiction, experimental documentary, essay film, dance film, to sound collage. The films were all mind-blowing and I am extremely proud that 13 Little Pictures played a part in bringing all these astounding filmmakers together. Can you elaborate more on the happenings at the film lab and it's goals? 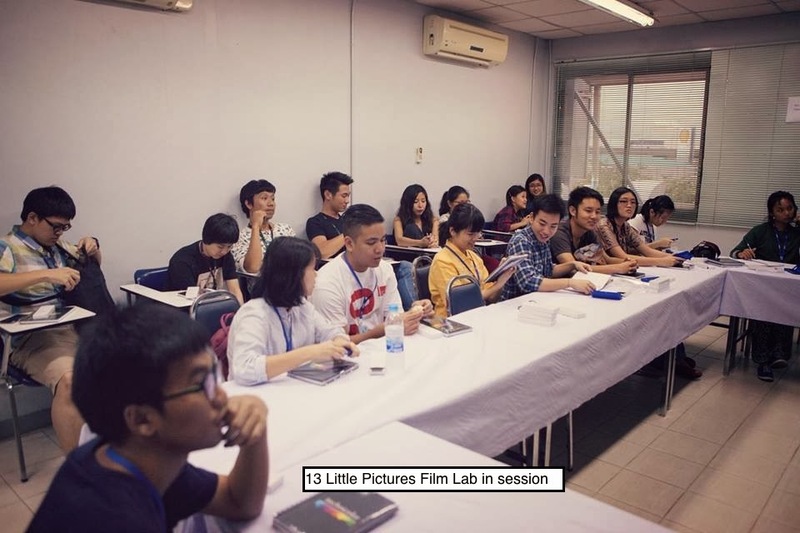 The first three days of the lab consisted of intense workshopping sessions, where participants critiqued each other's film ideas and shared their opinions on cinema. 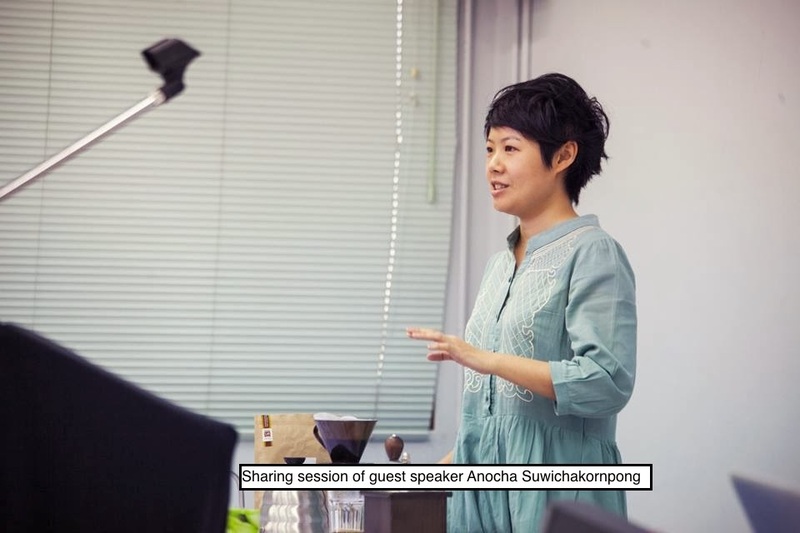 We also had sharing sessions by filmmakers from 13 Little Pictures (Chris Yeo, Liao Jiekai, and myself) and Electric Eel Films (Anocha Suwichakornpong and Soros Sukhum). 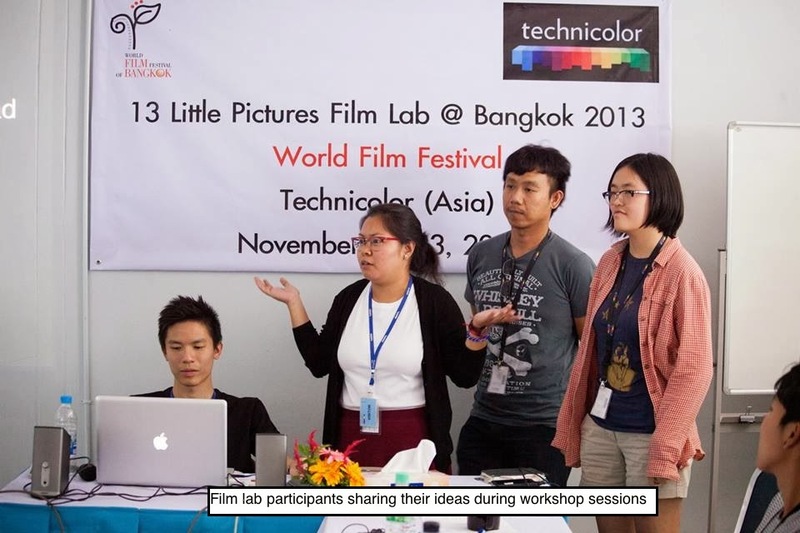 Over the next two days, the participants had to shoot and edit their films. There was a final critique of the rough cuts before the films were finally presented on the very last day. 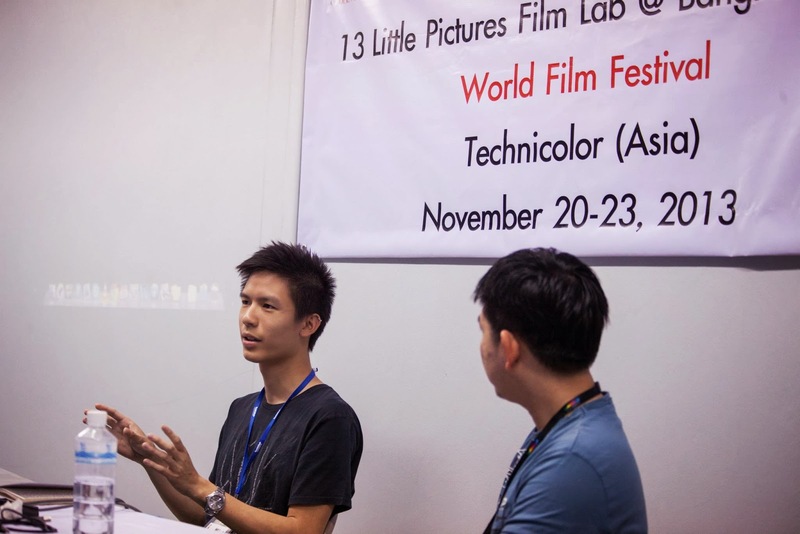 Two films were then awarded post-production prizes sponsored by Technicolor Asia. Our goal for this lab was to open up a space where people from vastly different backgrounds, experiences, political and artistic views could come together and make work collaboratively. We believe in creative tension, the sparks that fly when the minds of distinct individuals collide, because this reflects the spirit of 13 Little Pictures. I have personally learned so much from the participants of this lab. They have shown me that differences can not only be transcended, but also be used to augment one another, creating something that is much bigger than all of us. Since this is the 3rd edition , how did the films differ from the previous 2 editions ? This year, we asked all the participants to submit a film idea revolving around the theme 'The Uncanny' along with their applications. This allowed us more time to interrogate each other's film ideas, which, I think, resulted in a greater variety of films in different genres. It also placed a greater emphasis on the films that were made at the end. 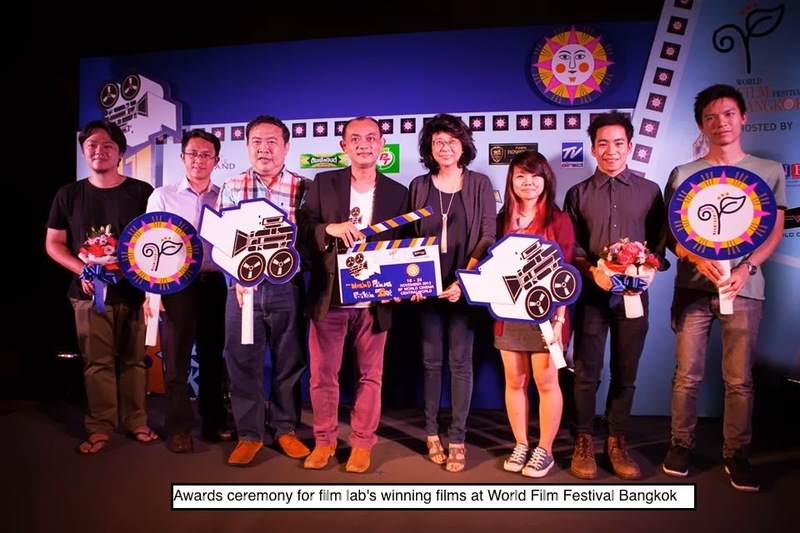 How is the indie film industry in Thailand? Could you elaborate more on the recurring themes/genre that is very often portayed in Thailand? Meeting the independent filmmakers in Thailand - many of whom were involved in the lab in one way or another - was absolutely inspiring for me. Never before have I met so many people who are both visionary and humble in equal measure. From an outsider's point of view, there seems to be a veritable filmmaking and film-watching community that is very receptive to new ideas and modes of expression. Sure there is still no money involved in independent filmmaking, but to me - and of course I run the risk of romanticizing things - there is a very precious flame there that cannot be easily extinguished by the demands of money and commercialism. I am especially excited by the fearlessness with which independent Thai cinema confronts sociopolitical issues. How did you guys came about with the theme "The Uncanny" ? We wanted a theme that sets a tone, a color, but also one that is broad enough to invite varied interpretations. More importantly, we wanted to give the participants room for imagination, and since "The Uncanny" marries both the strange and the familiar, we felt it would work best. Could you tell us what you'll be expecting from next year's 13 Little Pictures? This year will be our fifth anniversary so it will be a very exciting year for us. For one, we are producing Glenn Goei's Yellow Flowers with mm2 Entertainment. The film will be written by Haresh Sharma and shot by Christopher Doyle. We have also just finished shooting Fundamentally Happy, a feature film directed by Tan Bee Thiam and Lei Yuan Bin. I will also have a new feature this year entitled Snakeskin. Where is it possible for audiences to catch these films? Some of the participants are still putting their finishing touches to their films. Once the films are ready, we will put them up on our 13 Little Pictures YouTube channel. We are also excited to see them in film festivals around the world soon!